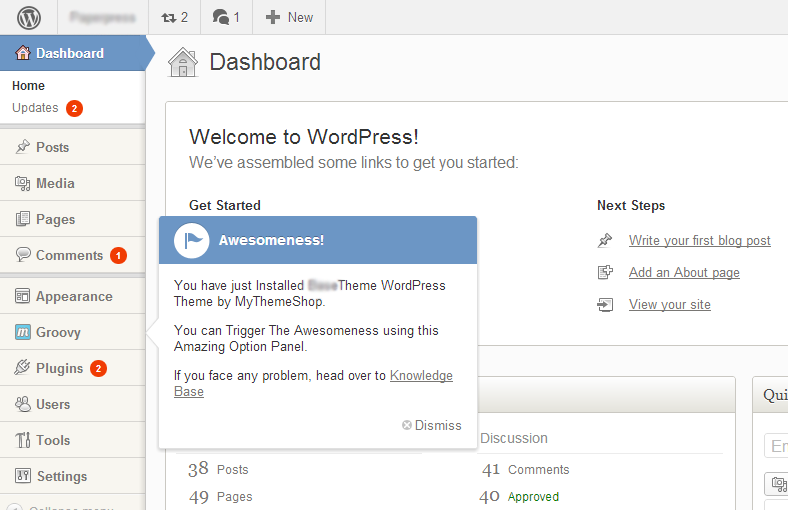 No more tinkering around with confusing ad inserts and theme editing. The ad spaces are all widgetized, meaning you can just click and save for ad placements. Rise to the top of the web and dominate the search engines, with Nominal’s built in search optimization that also works with any 3rd party SEO plugins. Lightning fast, Nominal is optimized for speed in order to improve user experience and search optimization. 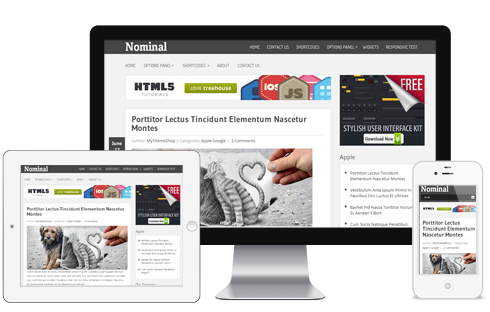 Like all MTS themes, Nominal is responsive and handles different browsers, devices and screen sizes with ease. Give your users more of the content they love, and increase your own pageviews, using the related posts widget. Stop wasting time with other social media plugins. Nominal includes social media integration that is optimized for maximum sharing and effectiveness. The custom shortcodes that MTS has created are included in Nominal, helping you add functionality to your posts in a flash. Control everything from ad spaces to social buttons from the options panel, a one-stop source for all your theme features. Be ahead of the curve for the next generation of the web, with HTML5 and CSS3 coding that takes advantage of everything these new technologies have to offer. With the included Google Web Font library, you can choose the font selection that best matches your content. Personalize your new theme by choosing your favorite colors, using the color picker for unlimited choices. The usual custom widgets are included, such as popular and related posts, ads and more. Show off the best of your media content, using the lightbox that allows your users to see full, rich media in style. 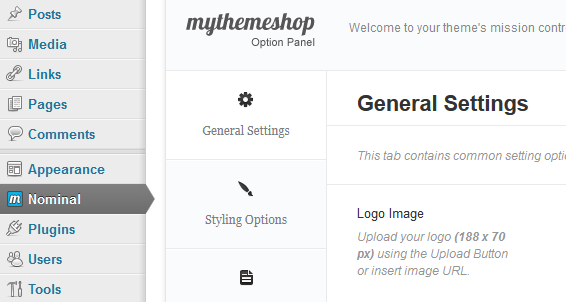 MyThemeShop premium support is included, so you can get assistance with customization and setup if you need it. Using the new pattern uploader, you can choose any pattern for your site’s background and it will automatically tile and look great.